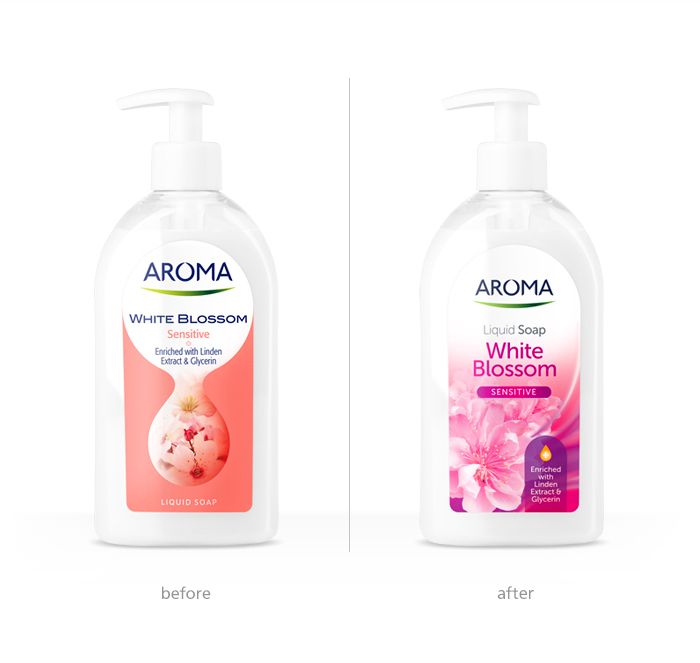 AROMA is Bulgaria's largest producer of cosmetics with more than 90 years of experience. 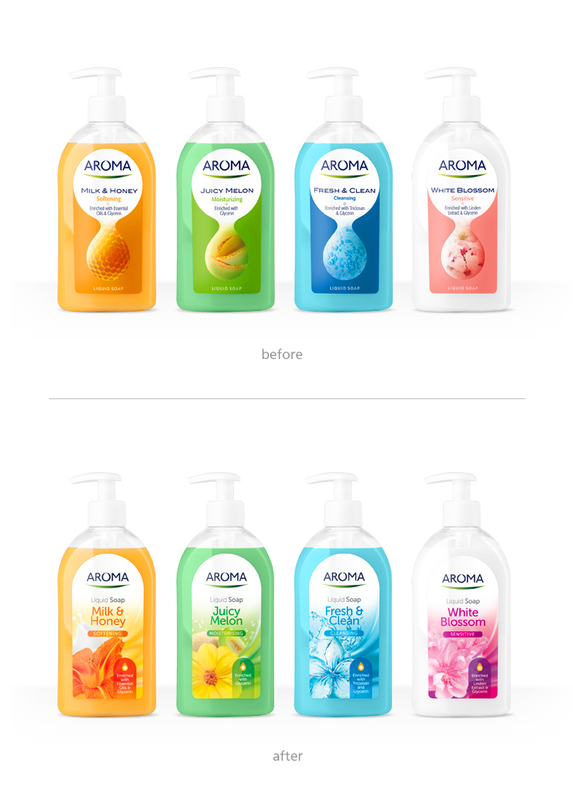 To redesign the labels of a series of liquid soaps and design a new product catalogue. 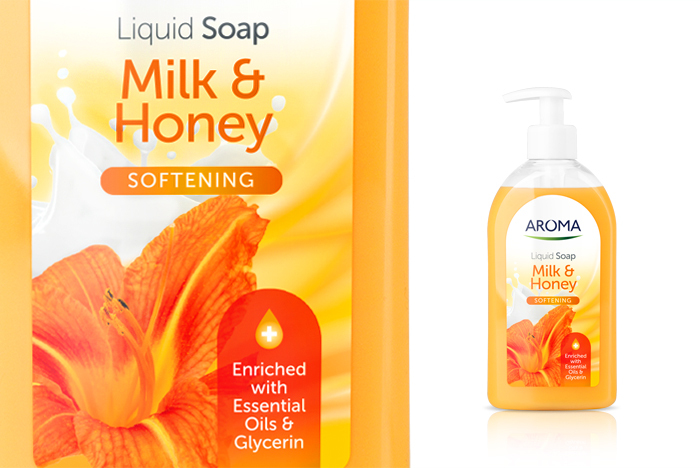 Regarding the liquid-soap labels, we enlivened the design by adding more colour and brightness. 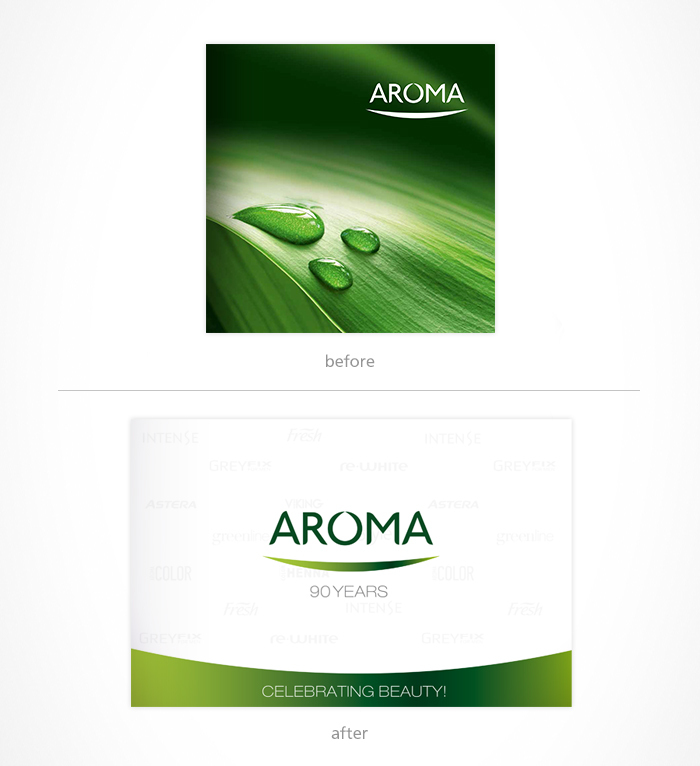 The position and visibility of the logo was retained but the names of the products and the more important ingredients in each product were shown more clearly. 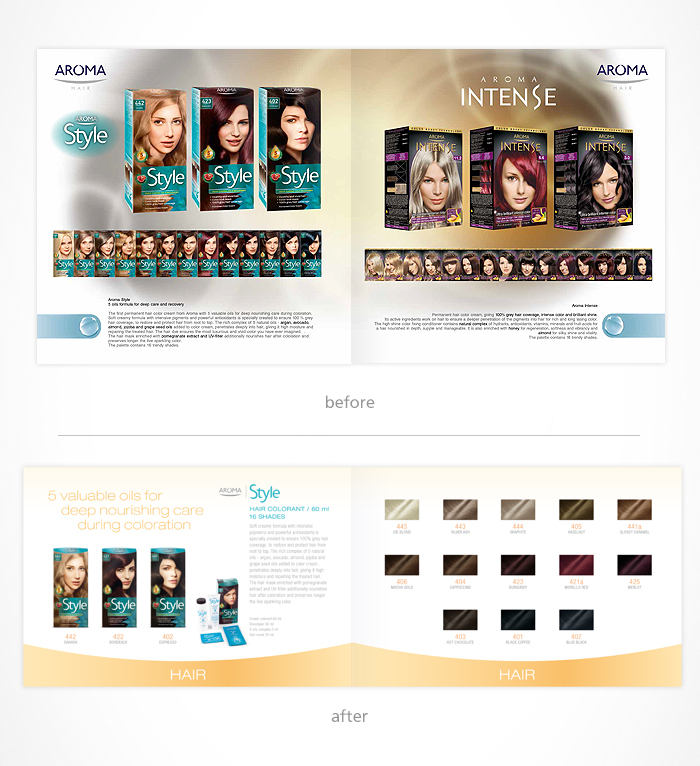 We organised the catalogue for easy and quick orientation. 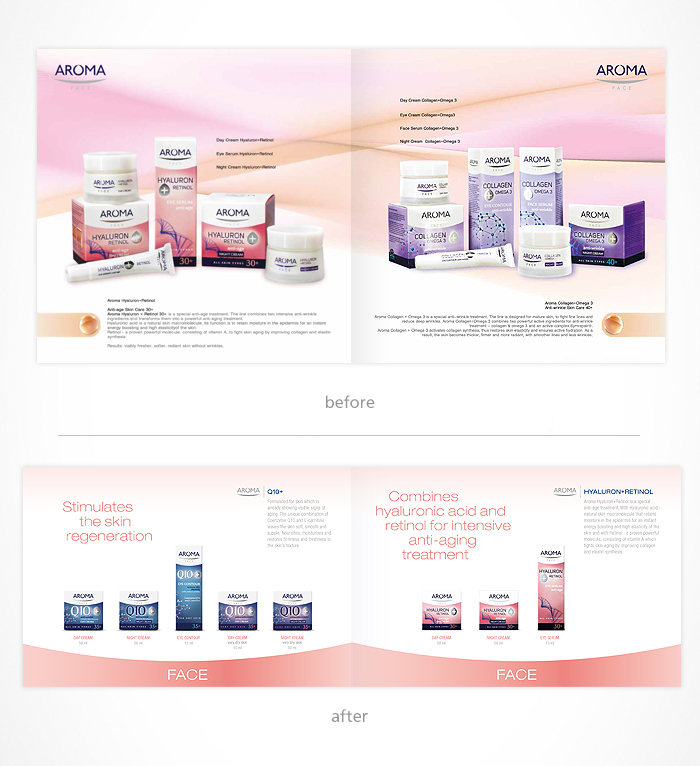 First, we typified the frontal image of all products and levelled them up. We arranged the information for each group of products in a systematic manner, with a prominent leading sentence for the purpose of the products in the group. 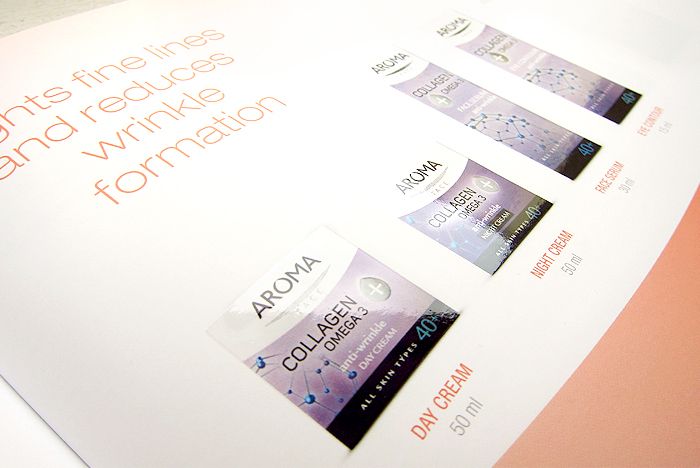 We arranged the products against a neutral white background, leaving colour markers for each category in the lower end of the page. 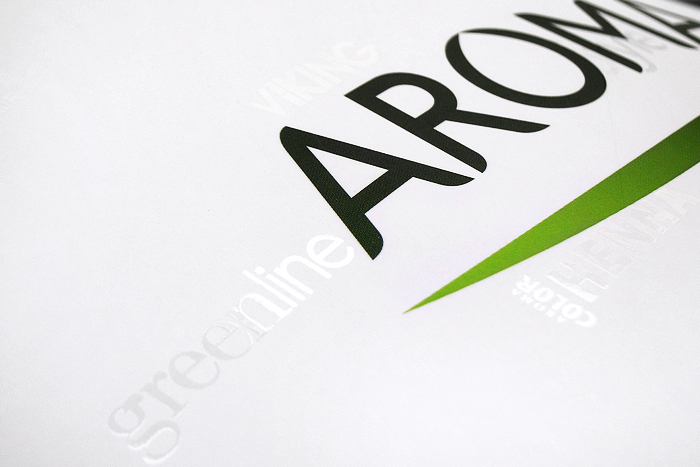 The main graphic elements used in the catalogue were taken directly from Aroma's logo and packaging. We made a clear cover of the catalogue, leaving only the logo and, using lacquer, we highlighted the Aroma logos and sub-brands.